According to media reports, Athos monks condemn the policy of Pat. Bartholomew in Ukraine and will comment on this matter at the Holy Kinot meeting in January-February. “Many Athonite monks feel extremely negative about the actions of the Patriarch of Constantinople in Ukraine. 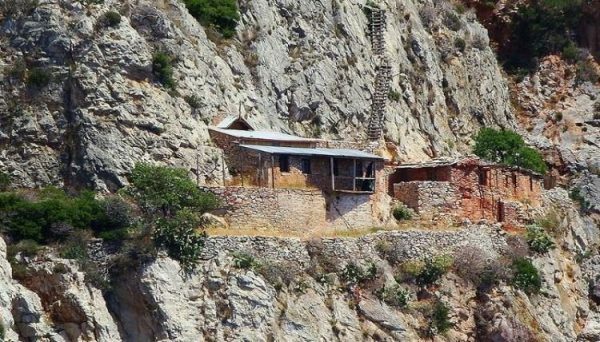 But there is no official decision on this issue yet,” a source close to the main administrative body of Holy Mount Athos told RIA-Novosti. The exact date of the meeting on the “Ukrainian issue” is unknown but the discussion may take place as early as January-February. Speaking about the further reaction of the Athos elders to Tomos granted to the Ukrainian schismatics, the agency’s interlocutor suggested that the Holy Mountain would take a pause and would not immediately get out of its subordination to Patriarch Bartholomew. Most likely, the Athonite monks “simply will not sign under this decision, they will condemn this decision of Constantinople,” he added. To date, the Ukrainian Tomos has been rejected by the Russian, Polish, Serbian Orthodox Churches. The heads of the Antiochian and Cypriot Orthodox Churches also spoke negatively on it. The hierarch of the Orthodox Church of the Czech Lands and Slovakia, who visited Kiev the other day, said that what is happening in Ukraine around Tomos is simply incredible.